I hope you noticed the spoiler alert because this is your last warning. I'm a fan of The Walking Dead just like you, so I decided to share some thoughts following last night's episode. 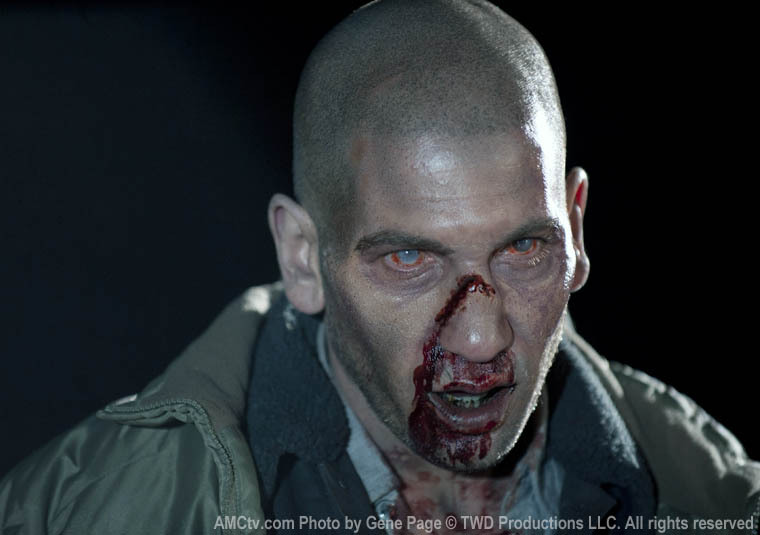 Shane's dead and that is no surprise. I read some of the early issues of The Walking Dead comic book and was waiting for Shane to get capped by Carl or even Rick. 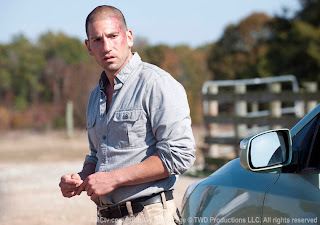 The writers were dangling the "Shane's gotta go because he's a freaking lunatic" carrot in front of our faces for many episodes and last night we were treated to Rick stabbing Shane and Carl taking out zombie Shane with a bullet to the head. It wasn't Omar and Brother Mouzone taking out Stringer Bell on The Wire, but it was time for the dude to go. With Shane out of the picture, things should go smoothly for Rick. Right? Wrong. While Rick was trying to explain his actions to Carl, we saw an army of walkers coming towards the farm. The season will end with an epic battle and I have a feeling we will be treated to a few causalities. So who's getting killed? Here are my predictions. 1. T-Dog: I love this character, but since he had a speaking line last night, then I see T-Dog getting killed in the finale. Why's the man gotta keep a brother down? T-Dog is under-used in this show and we need more T-Dog. Am I right, folks? Let T-Dog live! 2. Jimmy: Yes, there is a character named Jimmy on the show. He's one of Herschel's people and I have a feeling that the family will be much smaller in size after the finale. Adios, Jimmy. 3. Carol: The walkers took out her husband, Hillbilly Ike Turner, and sadly they also got Sophia. I think Carol is S.O.L. in a battle with the walkers. 4. Herschel: Sadly, I think Herschel will be killed off next week, but he'll go down in a blaze of glory. This battle will not end well, and with David Morrisey signed on to play the Governor, it appears that the group will leave the farm. Season two has been pretty good overall, but I have a few issues I'd like to share with the group. 1. What did Dr. Jenner tell Rick at the CDC? If it was something important then why have we not revisited that scene or have Rick discuss what Jenner said to him? I wonder if it had something to do with the way the zombie 'virus' has changed. Shane turned into a zombie when he died and we were treated to some odd metamorphosis, so that might be a link to what Jenner said to Rick. 2. What happened to Rick's walkie-talkie buddy, Morgan? Do you remember him from season one? Maybe he met up with Merle and the two became besties. That's all from me and please share your thoughts below in the comments section.